TLC For Kids Summer Nanny Program! Are you looking for childcare this summer? 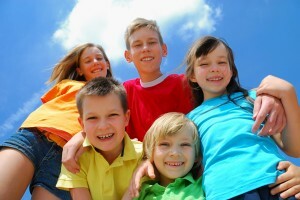 We have great summer nannies ready to make this summer a memorable one for your children. TLC summer nannies will take the kids to the pool, the zoo, or any other popular attraction. All of our nannies have an insured vehicle to help with any summer transportation needs. They will also make days at home fun with crafts, water balloon fights and running through the sprinkler. Click here to fill out your parent application today!! Applications received before May 1st will get $100 off your application fee!! Contact Jessica or Debbie at 314-725-5660 with any questions. For the last few weeks our blog has been focusing on Newborn Care Specialists. We had the exciting opportunity to interview Sue M recently. 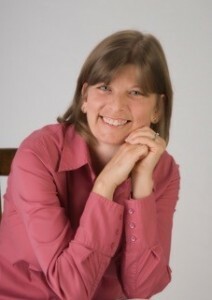 Sue is one of TLC’s best Newborn Care Specialists. TLC: What training company did you use and what classes did you take? Sue: I took the Newborn Care Specialist Training with Gentle Ventures Training Center. The center is located in Glendale, AZ, but you can take the classes on line. TLC: Did you find the online class was easy to use and that it fit into your schedule? Sue: Yes, I was able to do the class at my own pace and I had up to a year to complete it. TLC: What did the class entail? Watch video’s, take quizzes, read articles, did you do any hands on training? Sue: I received a 250 page manual to use while I followed along with online videos. At the end of each chapter there are questions to answer and at the end of the training there is a test that must be passed to receive a certificate of completion. TLC: What was your newborn experience prior to taking the class? Sue: Prior to taking the Gentle Ventures Newborn Care Specialist Training I was a nanny for 15 years. In the 15 years as a nanny I cared for about 4 newborns. Since taking the class about 6 months ago I have cared for another 7 newborns! TLC: Please share with us some of the things you learned and what you’ve been able to teach parents. TLC: Why do you like working with newborns and why did you want to become a Newborn Care Specialist? Sue: In 2014 I became employed as a temporary nanny for a couple with a 10 week old baby. This baby was the calmest, happiest baby I had ever cared for and the reason why is because the parents had planned ahead by reading and researching healthy habits for their baby. They were determined to get the baby off to a good start with sleep and feeding routines. These routines hardly ever had us wondering or guessing what the baby needed or wanted and this baby rarely needed to fuss or cry because all his needs were met. I was so impressed by this that I began to do my own research and found out that with proper training I could help families make a much smoother adjustment to bringing home a newborn than most parents actually are experiencing! My passion is to do just that! I love to partner with parents and help new families overcome the challenges that a new child brings. I can help parents enjoy this time and set up best practices that will result in a smooth transition for them and their newborn. TLC: Do you plan on taking other newborn classes on line? Sue: There are many courses offered not only online but also in person, several are listed on the NCSA (Newborn Care Specialist Association) website and others can be found through networking. I look forward to continuing my education as standards of practice are always changing and there is always more to learn! I am still working on my certification. To become certified through the NCSA a person must: 1. Complete a course that is approved by the NCSA. 2. Successfully pass the NCSA’s membership test. 3. Complete internship hours or have 2 years experience working with newborns. Not only have I taken the online class with Gentle Ventures, I also flew out to Arizona to attend an advanced course with Newborn Care Solutions. Right now I am about halfway to the goal of certification. Thank you Sue for answering our questions about being a Newborn Care Specialist. If you would like to learn more about TLC for Kids and our newborn care visit our website or give us a call 314-725-5660 in St. Louis or 305-256-5905 in Florida. Monday, April 18th is Tax Day! Taxes are due in just a few days! As a household employer are you looking for a way to reduce some of your tax burdens? GTM and Associates recommends a few ways you can do this. 1. You can reimburse your dependent care expenses with pre-tax funds through an employer sponsored Flexible Spending Account. Check with your company’s HR department to see if this works for you. 2. You could also take advantage of Child and Dependent Care Tax Credit on your income tax return. If you need help with any of these options please contact GTM and Associates at 1-800-929-9213. Don’t forget that TLC is here to help you with all your in home childcare needs. If you are interested in hiring a full time, part time, summer or after school nanny visit our website at tlcforkids.com. TLC for Kids is currently placing summer nannies in St. Louis and South Florida. If you need reliable, energetic, and professional childcare this summer visit our website at tlcforkids.com Or, email us at tlc@tlcforkids.com. From time to time we like to feature a TLC for Kids caregiver that is doing a great job. Today we would like to introduce one of our nannies in Florida, Luvenia Coleman. 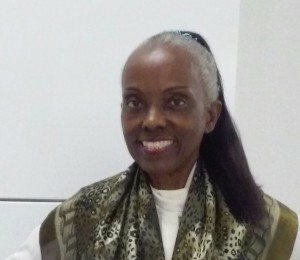 Luvenia, though only with TLC a short time, has proven herself to be a model TLC caregiver . Luvenia is extremely well liked by all of her clients. She seems goes out of her way on every assignment to be warm, comforting, engaged with children, and attentive to the family’s needs. She also is an excellent communicator, responding to texts fast, letting us know when she has completed an introductory phone call, and following up after care is completed to let us know how it went. She maintains her availability in the system accurately and regularly, so we always know when we can count on her to take a job. Luvenia demonstrates a clear understanding of our policies and purpose. She has been a great reflection on TLC to the clients she has worked with. Thank you Luvenia, keep it up! TLC for Kids now services Miami, Fort Lauderdale, West Palm Beach, Orlando, Jacksonville and Tampa Florida!